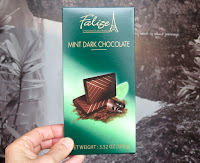 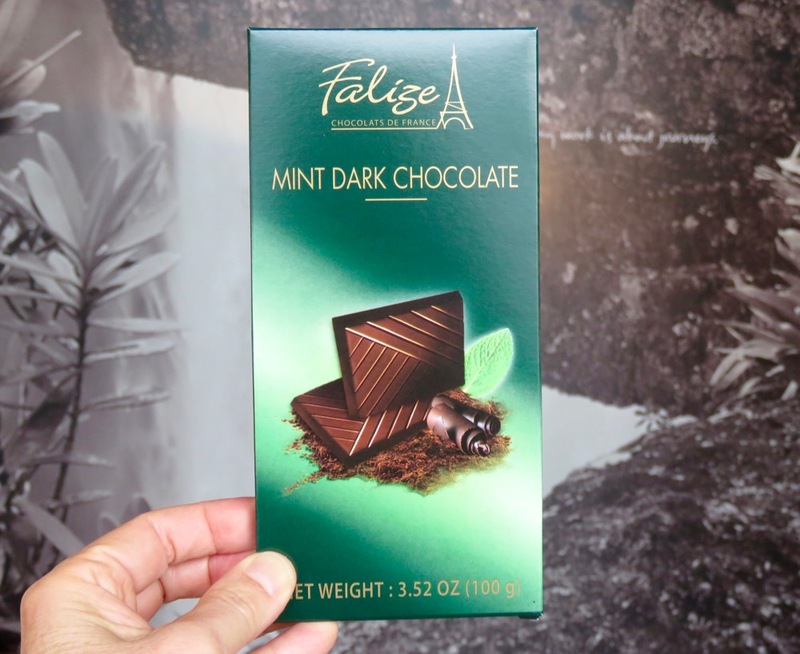 Today's Falize Mint Dark Chocolate bar was made in France (DIPA Carole Martin, Cedex, France) and was similar to other, smooth dark chocolate mint bars featured this week. 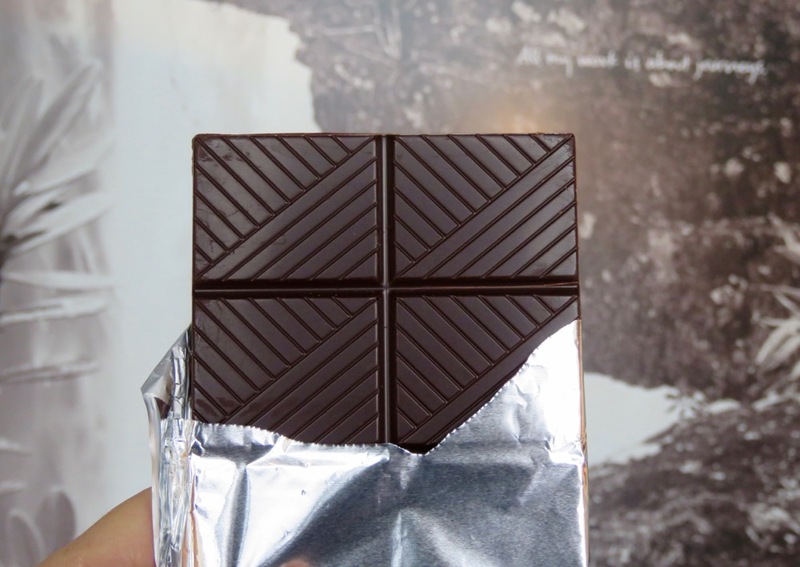 *Well tempered refers to the process of heating and cooling chocolate in such a manner that in its final state it (the cocoa butter) possesses a stable crystalline structure (generally form V crystals) which produces chocolate with a longer shelf life as well as other desirable qualities. 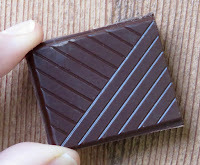 One of the characteristics of a well-tempered chocolate bar is that it breaks with a hard snap. 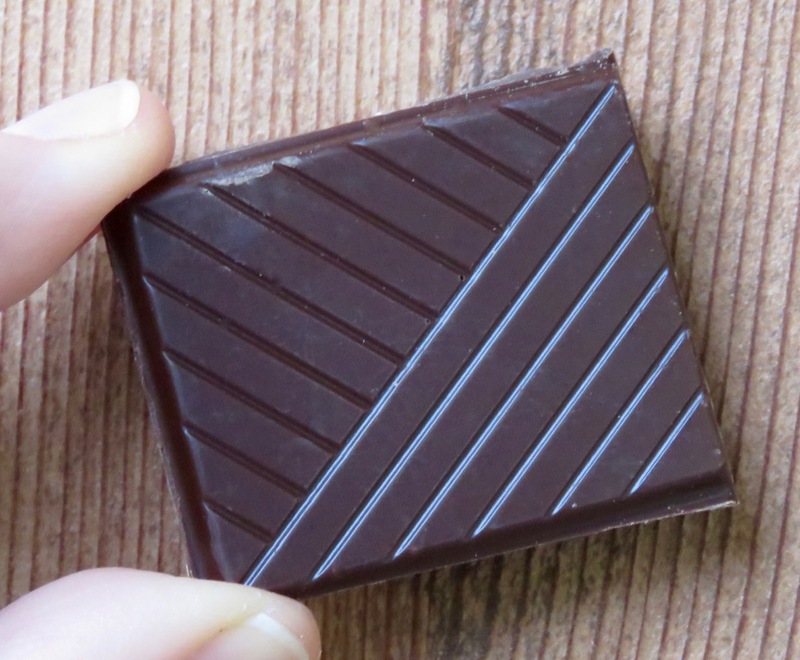 **Ingredients: sugar, unsweetened chocolate, anhydrous milk fat, cocoa butter, sunflower lecithin (emulsifier), natural mint flavor 0.4%, natural vanilla flavor.